The Luftschiffengel outfit made it's debut today (actually yesterday) at a local Halloween party! I'm sorry I don't have photos for tonight, but Halloween parties and other events will follow this weekend! Chief Engineer Julin Wodinaz Bahlmann is no longer in the closet! Ze is out and about going where no Engelfolk has gone before! Really good to hear it's had it's debut - now, pictures please! As soon as I can. It looks like Steampunk locally were dormant this October. So I'll inquire on the next event. Barring that, there is always New Year! Greetings all. It's been a while. How are we all? Attending (hopefully) a Steampunk bi-monthly meeting today, where members from all Steampunk groups in Austin get together at a local pub. It will be the second outing for the Luftschiffengel uniform after Halloween (darn! I forgot the camera again!). I'm not hopeful that anyone will buy from me, but I'm taking 3 iPhone 6 cases just in case someone wants to buy a Christmas gift. In other news, somewhat anxious of what recent political events have brought. I don't think I've ever been conscious of how many transgender people we have in Austin. At least 4 or 5 different people in the last month in my daily route to work (but still a much smaller number than gay and lesbian couples I see daily and have as customers and general people I see at the supermarket, both as customers and employees etc). The last transgender person I saw right in front of me today at the supermarket. It turns out that Austin is a safe haven for the LGBQT community (long ago in the past it used to be Houston), but I'm now realizing what is at stake for so many. I just never set stopped to contemplate how many of the LGBQT community are around me. And I can't lie to you, I'm more than a little nervous about outing the Luftschiffengel outfit (the last time it was a relatively small Halloween party organized by a couple worker... So I'm anxious. It was really good to see you and your friend at the weekend - I'm really pleased they enjoyed the event too. A new recruit to the Steampunk party? Please do have a look over at the West Midlands thread on geographical - from the conversations at the weekend I think there's quite a bit being planned for the new year. Yes, I must admit to worrying as what the situation may become for all minority groups following the result. There was a recent programme on our Channel 4 where a UK MtoF individual, a veteran of the recent Middle East conflicts, explored attitudes to gender identity and freedom in the southern states; it did seem that attitudes were pretty polarised, and that of course was pre-election. We can but hope that the post-election reality is not as harsh as the pre-election rhetoric. As to your own experiments, I suppose all that can really be said is please do take care and be careful in your choices as to when and where to express that side of yourself. It's not that I distrust the Steampunk groups. Quite the contrary, you tend to have many more people who are welcoming of the LGBQT crowd among our subculture. But this time I wouldn’t have anyone whom I knew to be with me at all. The few people attending at the pub would be mostly out of towners. While at work, throughout the day, I saw (on Facebook - Austin Steampunk Society) that the meeting was severely going down in the number of attendees. Only 9 attendees were left by the end of my shift (the meetings at that place are usually huge), some of which were from out of Austin. That gave me some pause. If I'm going to "come out" I prefer to have some moral support. Being alone is not fun. Much less walking at night, which is dodgy even in normal getup. On top of that my co-worker opted out at the last minute about 6, and I never heard from the people in my group, which means I had to move by bus and plus 30 minute sprint. Due to bus schedule, that means I arrive at home at 9 pm and then I must set on foot towards the pub. Well. I was not able to attend. Seeing as I had to walk for 1/2 hr to get there, even without dinner, and the meeting ends by 10 pm or so, it means that it would have been a pointless exercise. Why is it that women get to play around with all these cool military designs? Sorry to hear how things are going on your end. Wishing you all the best. Those look gorgeous. 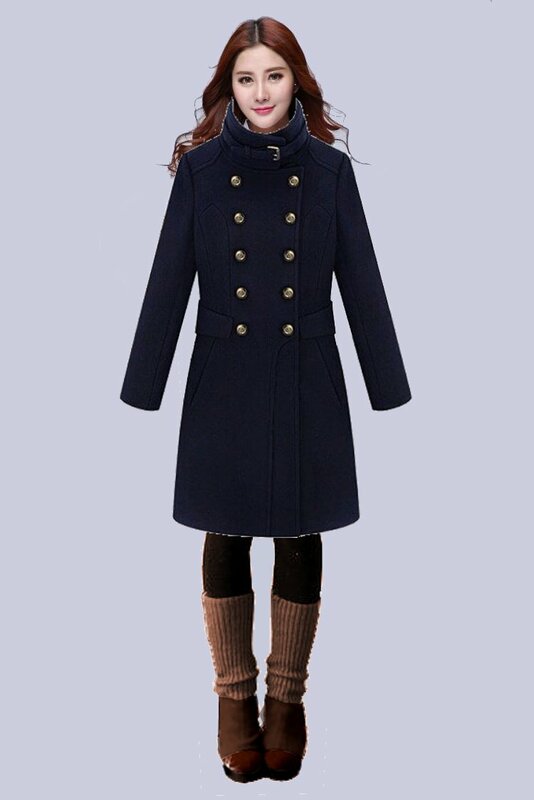 Especially the navy caped coat. I'm getting a fitted frock coat done myself with antique 1880s silk fur on collar and cuffs. It's a little bit Oscar Wilde and a little bit wealthy widow who most definitely did not kill her husband and wears revealing nightgowns. Well that's life. But unless I get someone to go with me, it's more unlikely I'll go anywhere. The cloak above is to die for It just has an awesome vibe to it. 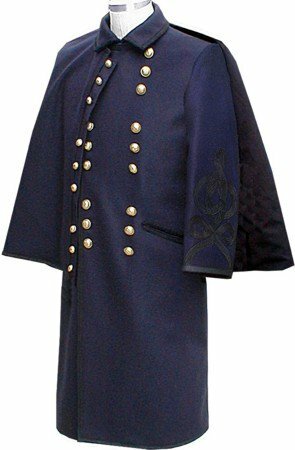 Albeit I have found an overcoat (not surprisingly women's coat) which is the closest match to a Union Army Frock Coat, save perhaps the cut of the fabric and a lapel which doesn't exist in the real thing. 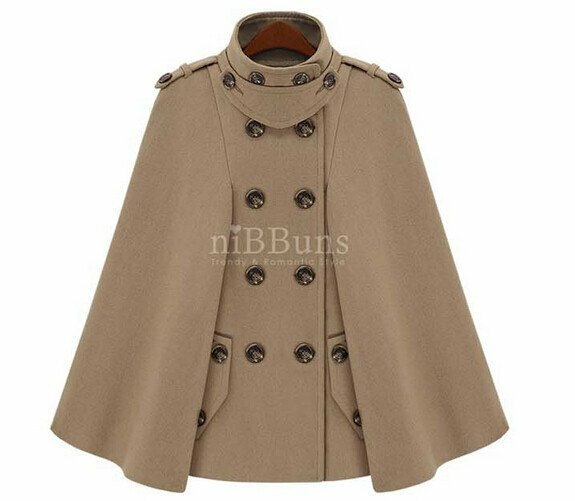 There's something about this "Nibbuns" brand of coats. Seems the Koreans like their military jackets. Both the cloak and the overcoat are made by them. Worth googling their brand to see what else they have. There's a Nibbuns website in Korea. PS Their website doesn't seem to have these styles. Mayhaps these above are not for their domestic market. Please do have a look over at the West Midlands thread on geographical - from the conversations at the weekend I think there's quite a bit being planned for the new year. So the widow did not kill the husband? Oscar Wilde would ask, why not? she can kill the husband and Still wear the revealing night gowns. On this side of the pond, there seem to be a growing number of Christmas carol singing events. Apparently there is a "Dickens on the Strand" in Galveston, right next to Houston, which is the furthest place away from an English winter that you could think of. We used to have snow for a couple of weeks in Texas, but in the last decade I haven't seen any. At some point in time in the 1980s the weather was so cold even heated hotel pools would freeze over. When global warming came, the only thing that remained by the early 2000s was ice storms and giant sheets of ice on the roads (black ice) which was a disaster for car insurance companies. In the last three years, I haven't seen either ice or snow. Arguably no precipitation either during Christmas time. Ah but you must ask yourself my dear Mr Wilhelm, would Oscar ask why not? Or is he the widow in the nightgown. We can't put anything past him, except living. From all angles that sounds wonderfully Bohemian! Sorry to hear the evening was rather a let-down. I'd say the capes have it. Actually, they look quite 60s/70s - I could imagine Jane Fonda walking off the set of Barbarella in one. Yeah. 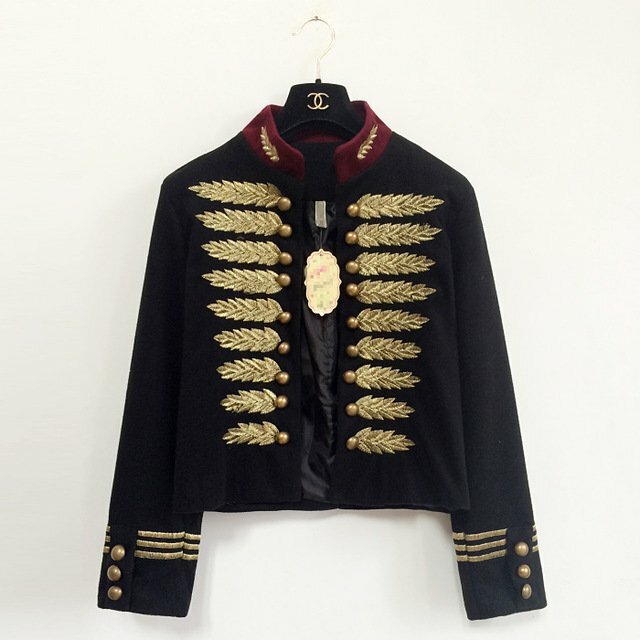 The Hussar jacket is nice and very cheap,as low as $26, but it doesn't fit the Union theme. Perhaps that would be the coat for the Austrian Luftschiffengel. And it looks like a tight fit at 40 cm of shoulder width. (give me 3 cm more and it will fit fine). The Union side would be much simpler, but the capes fit well and are insanely beautiful in their simplicity. Not like the original article but, oh boy, how close they get in character. For comparison this is an actual Civil War Era US cloak;notice how the cape is separated from from the coat itself, which is much longer. 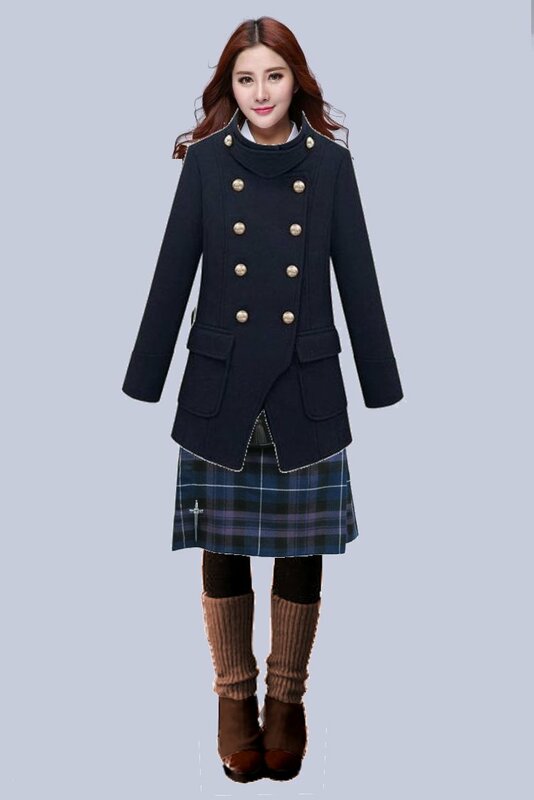 On the other hand, having a Cape allows for a lighter coat (layers), and if I plan to wear a kilt, the coat by necessity will be short. 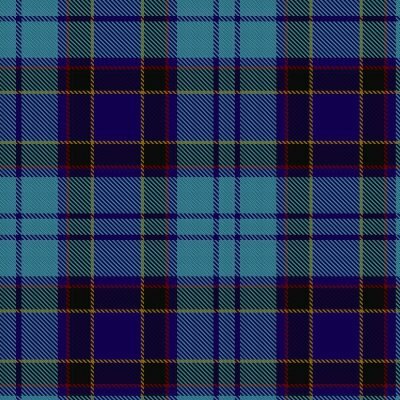 For me, the second one (lighter blue) works better as it shows off the sleeve detail nicely. I have lots of thinking to do and very little time to the end of the month. My birthday is nigh and I may be able to spend on one before the end of the month. I love the cloak and also the long coat. I want them both. But the truth is that if I spend on the cloak, and given that this is a practical item - intended for me to wear the costume in cold weather - then I need to consider the length. The cloak will cover the torso and hips, but no more. The long coat will get closer to the knees. 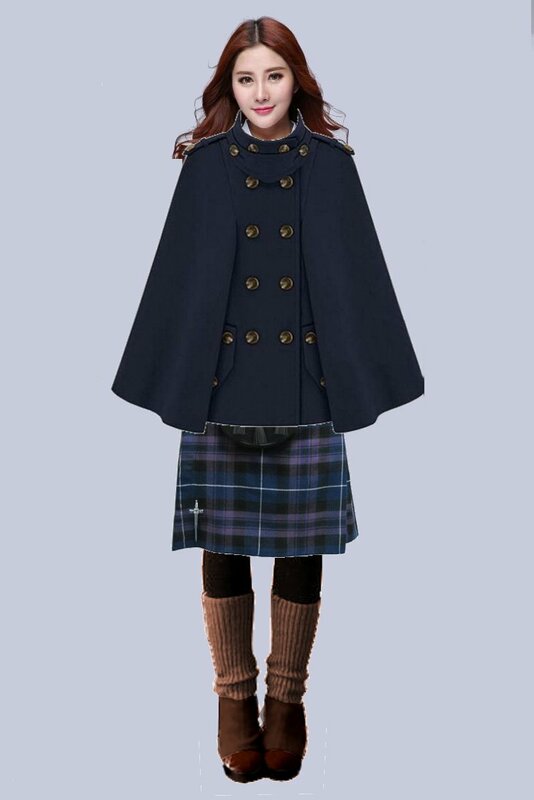 The cloak would probably force me to buy the kilt I talked about long ago. Which is fine, but I don't want to spend so much. 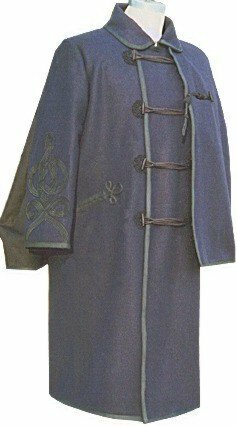 I contrast the long coat doesn't, and on top of that it doubles as the coat for Admiral Wilhelm. So I hate to have to choose and pick the more "ho-hum" of the two, but the long coat wins the argument. 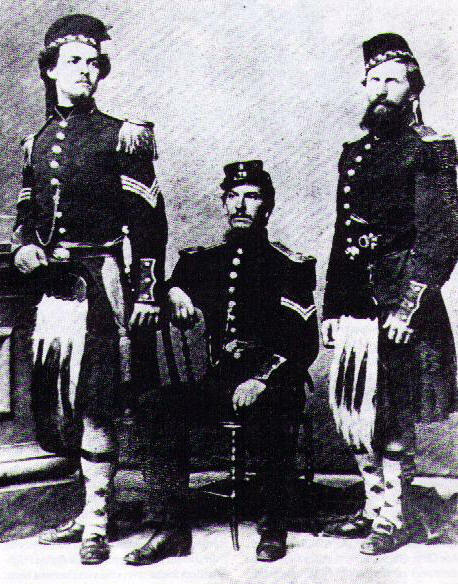 The long (frock) coat is basically the same for both United States Airship Command and US Army Corps of Engineers, with the exception of insignia, because both Chief of Staff J. Bahlmann and Adm. Wilhelm would be senior officers in the Army. So I can kill two birds with one stone. Also, in the future I can presumably make or buy a Cape for the frock coat to match the real thing in my previous post. 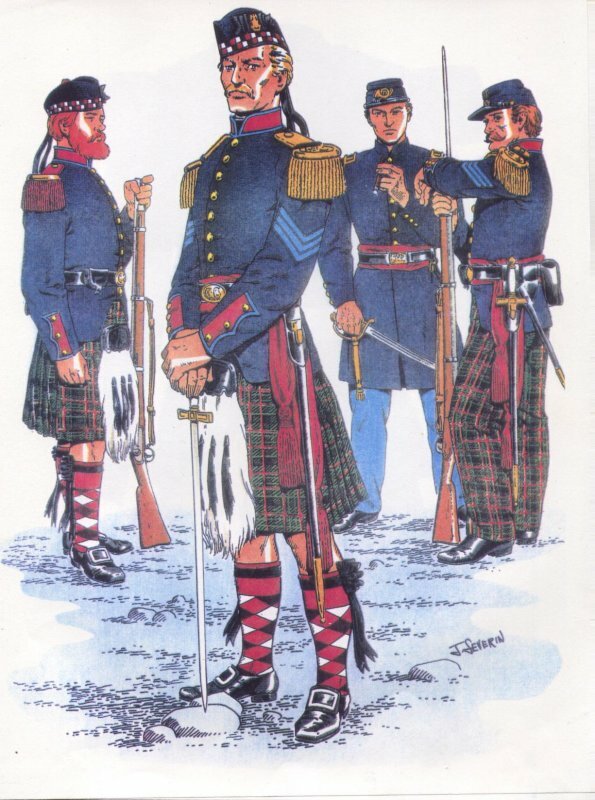 It has that interesting closure at the collar that you fond with the cape, but being shorter, again, will require the kilt. A little mental exercise. I'll try to chose between these three options. 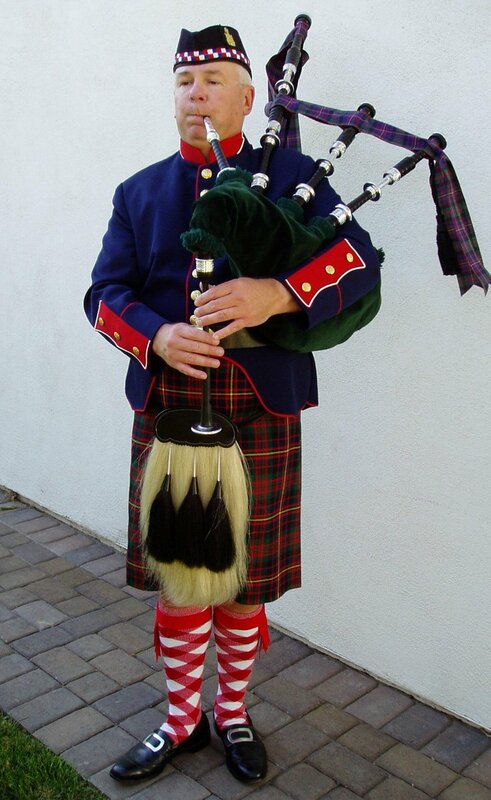 Two of them feature a full length kilt. 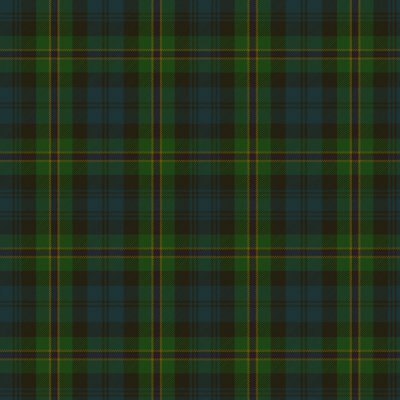 I used Pride of Scotland Tartan, but I coulkd use an American pattern as well (yes they do exist). 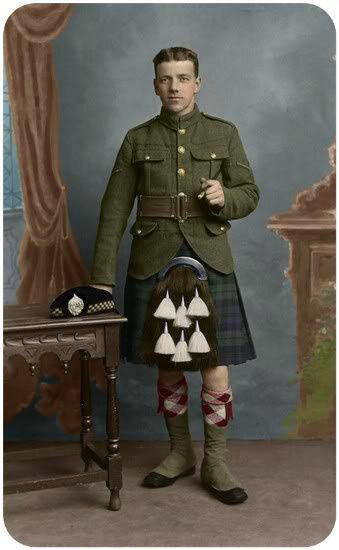 Right click to zoom - the pictures are not fully "refined" just a quick approximation; missing are the hands and the shoulder boards. I am an ally, or friend if you will. There are LGBQT people within both my immediate and extended family and my circle of close friends, and of course many more among my internet and more distant friends. I like to think that even were there not I would take an interest in the lives and well-being of LGBTQ people. "Some of my best friends are ..." is a terrible way to decide who gets civil rights. I have been a bit cagey about exactly who and what I am online since I had some disturbing interactions with certain members of the steampunk community some while back. This, however, has led to a certain feeling of alienation with which I am increasingly uncomfortable. I do not quite feel as though I were a visible member of this community, and at the moment I am having a strong awareness of the need for human contact and understanding. Without violating forum policies, may I just say that I am at the moment alarmed for the short term and long term health, well-being, marriages and safety of my LGBTQ friends and loved ones, and concerned and beyond concerned at certain developments, and that I would like to extend a hand of friendship, support, and potential refuge if needed. As a steampunk, I have a keen interest in history. At the moment I am considering the era and administration of Warren G. Harding, a wee tad late for steampunk but still of great interest. The last years of the Great Depression are also resonating a great deal with me right now. Thank you for allowing me to ramble. Sorry to hear you have had a poor experience with other members of the community; it's so good that such things are not evident on Brass Goggles. Yes, the situation is definitely concerning; we can but hope that good sense, decency and a culture of respect prevails. The cape still has my vote; I think it gives a more interesting silhouette. I concur, the cape is my pick, too. Went to an SCA A&S meetup on Saturday (for the entire Western half of S. Dakota). It was amazeballs. Learned nalbinding, got significant progress on my viking serk finished, and learned about middle eastern coffee ceremony. In other news, I have a couple of new firearms on the way, as well. One is very steamy, the other is more dieselpunk-ish kinda. Have a French MAS-36 coming (it's so cool ) and a Nepalese Gahendra coming (another one, to replace the one I currently have. I'm trading). Should be cool! Also found a good basis for a steampunk pistol project (that *isn't* a Maverick ). It's a Nerf Sharpfire or something like that. It's basically a Nerf version of a Luger carbine! $15 at wal-mart, so I snatched that right up to go in the project queue. Right now I am trying to finish 2 cup covers (SCA) and my serk (SCA), then the Gahendra restoration and Francotte restoration, and will probably work on my pistol/carbine project here and there intermittently while working on the two Nepali guns. Random point regarding nerf. The new nerf star wars line has han solos blaster so it looks pretty close to the mauser base his was built on and is crying out for modifications. The cape has a lot of character, yes? I need to see how I can make the money for it. Money is bleeding too fast as I reach the end of the month. The holidays are exacting some expenses I would normally not make. For example, all I did today was buy some American made Dutch almond biscuits (technically not English style biscuits, but proper Dutch koekjes - where the word cookie originates), a bottle of mineral water, and a bottle of cheap Spanish wine and I had spent $15! Even if I wasn't invited to any party this Thanksgiving (or so it looks like, unless I get a call this morning from my uncle). P.S. After an exhaustive search it looks like the cape is a discontinued item (most discount items at these web markets are). There are only two stores on Aliexpress who carry it. One store carries it at a bargain price of $36 and only carries it in smaller sizes than I can wear (so they've sold out an all but three sizes). The other one wants $60 and presumably they still have it, but I don't know for how long. Aaargh. What I'll do is this. 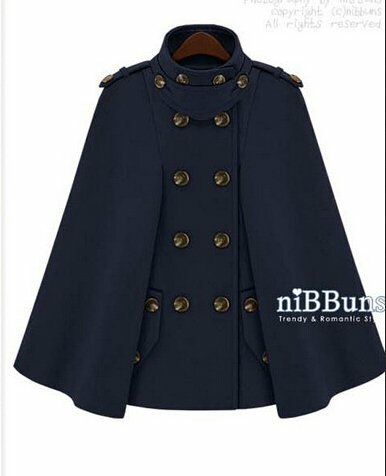 I want both the cape an a coat, but I will have to wait until I have money for the cape. Maybe if I can sell a one or two of my cases before xmas.The expense is too rich for me now. 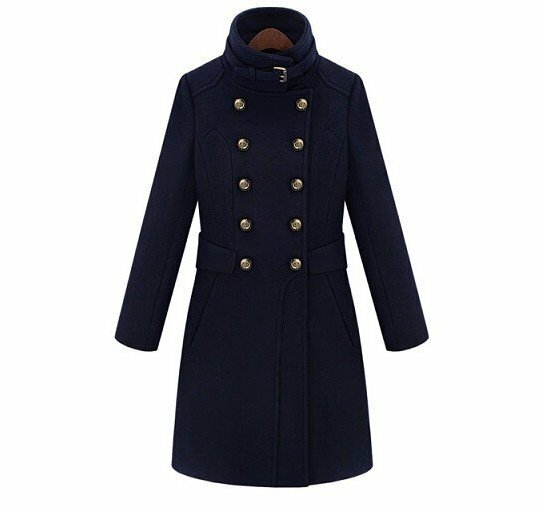 One of the two other coats is more likely to happen prior to the end of year, if nothing else, because more Aliexpress stores have it, and I can get it at a lower price. The shorter coat is the cheapest at $46, and the buttons are metalized plastic according to some reviews - which means I may want to buy a new set of buttons (not exactly a problem), and the coat seems to be the "same generation" as the cape - you can see why clearly. Reviews on the short coat (pink and apparently orange color) were very good, but with color variation from ranging from pink to coral through orange (I'm assuming the real color is coral and users / sellers don't know what to call it). So presumably the cape is of the same quality, just with larger dark buttons. 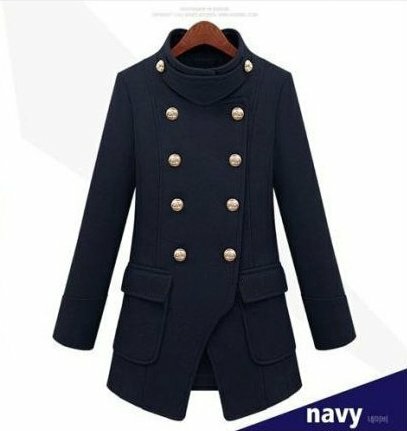 The coat which is carried in more stores is the long one at $48, just $2 over the short coat so its in the middle price wise. The buttons look different (smaller), but presumably they're metalized plastic too. Maybe I can fetch some reviews for that. Han's broomhandle mauser always made my inner historian cry, but it is pretty cool. Page created in 0.606 seconds with 17 queries.